The 2017 hurricane season was one of the most devastating in recent history. Hurricane Maria struck the Caribbean just weeks after Hurricane Irma had already devastated many of the same islands. Homes were leveled, power grids were destroyed, and thousands of people were displaced. Area health centers set plans in place so that they could take care of their staff – and by extension their patients. 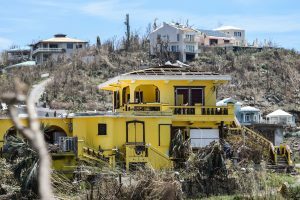 Frederiksted Health Care (FHC) Inc., which operates four health center sites in St. Croix, U.S. Virgin Islands, focused heavily on preparing and caring for staff both before and after the storm. FHC CEO Massarae Sprauve-Webster says that the health center considers itself a first responder – it participates in regular emergency meetings with the Virgin Islands Territorial Emergency Management Agency, has an internal disaster policy, and has plans in place for how to distribute and deploy staff in the immediate aftermath of a disaster. One important part of this plan is creating shifts so that health centers are appropriately staffed but staff still have time to take care of their families and deal with immediate needs in the storm’s aftermath. Several of the health center’s staff were displaced after the storm. Leadership quickly moved to help house them, including providing three months free rent at an apartment above one health center site and at a home at an another location site. Staff also stepped up to house co-workers – two managers with apartments attached to their houses rented out their space to others they knew were in need. “Showing staff that we care and want to help make things a bit easier for them helps them come out and serve their community,” she explains. Sprauve-Webster notes that the island wasn’t as prepared as it otherwise might have been due to the assistance it provided in the wake of Hurricane Irma. There was a shortage of drinking water, and food supplies, chain saws, debris removal equipment and generators were in high demand. Boat loads of supplies had been sent to St.Thomas, St. John, Tortola, and other islands in support of their recovery. For staff whose homes lost power, FHC gifted generators and fuel containers when there were none available to purchase on the island. Many of the health center’s normal protocols were relaxed due to necessity. Night clinics were cancelled when the roads were too dark for staff and patients to travel. Though FHC’s normal policy is to prohibit staff from receiving mail at work, long lines at the few available open post offices caused them to relax the rules. While some working parents on the islands faced negative consequences or even firing for needing to work around school schedules – 11 of the island’s 16 schools were damaged and the remaining schools hosted double sessions at varying times to accommodate all students – FHC supported parents by allowing them to bring their children to work and leave to drop them off or pick them up. The support didn’t stop after the storm passed. About a month after the storm, FHC solicited presentations from outside emergency response personnel to help staff debrief, decompress, and share self-preservation and stress relief techniques. FHC also encouraged staff to rely on each other, including two licensed social workers on staff and a contracted psychiatrist.